Deviled eggs were served at the Chef's infamous "Bloggers 99 Cent White Wine Tasting" in September. Local blogger Debbi Swanson Patrick of altadenaaboveitall was kind enough to email the Chef her tasty recipe. Some condiments hang around in the refrigerator forever, like capers, mustard and marinated hot peppers (which the Chef used a month and a half ago in a cashew hot pepper stir fry.) 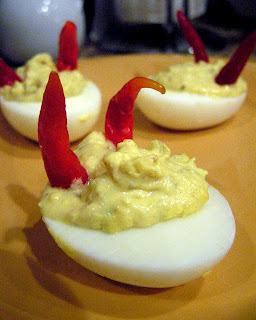 With Halloween around the corner, the Chef came up with a clever way to use the rest of his red hot peppers -- deviled eggs with hot pepper devil horns. It's a spicy fun Halloween party food. Debbi's recipe is quick and simple to do and chile peppers provide a hot kick sure to keep you on your toes when handing out sweets to your doorbell - ringing little ghosts and goblins. Be sure to have a cool beverage at the ready! All ingredients are from the 99c only Store. Boil eggs for about 10 minutes. Remove and cool in refrigerator. Shell eggs and slice lengthwise. 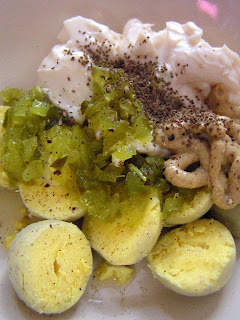 Add yolks, mayo, mustard, celery seed, relish, salt and pepper and mix with a fork or a food processor until creamy (add more mayo a little at a time if too dry). Spoon egg mixture into egg white shells and refrigerate for an hour. Rinse and pat dry marinated hot peppers then add 2 devil horn red hot peppers per deviled egg. When you want some heat, use coke spoon sized devil horn to scoop out egg mixture. *When handling hot peppers make sure to wash your hands with soap afterward and do not rub eyes! 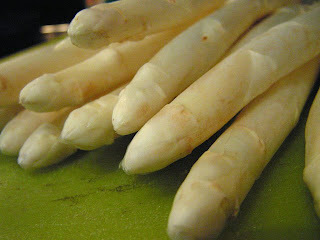 Your fingers are like hot match sticks! 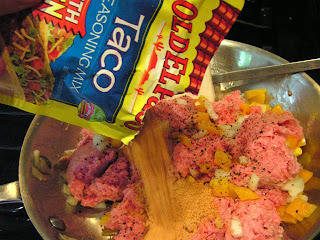 A lighter alternate to Taco Bell's namesake ground beef tacos are The 99 Cent Chef's homemade ground chicken tacos. 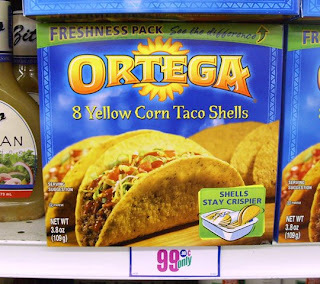 99c only Stores carry hard corn taco shell 8-packs, one-pound tubes of frozen ground chicken and taco seasoning. 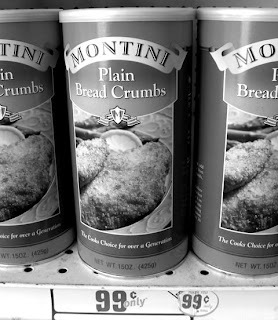 Most markets carry ground chicken and turkey at discount prices. The Chef's recipe easily makes 8 tacos. 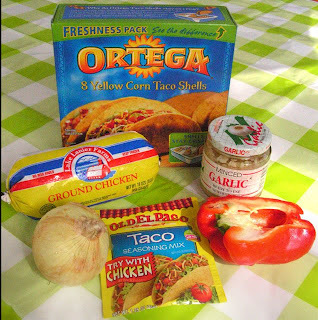 Add one pack of taco seasoning to ground chicken and saute with chopped onion, bell pepper and garlic until chicken is cooked through, about 10 minutes. 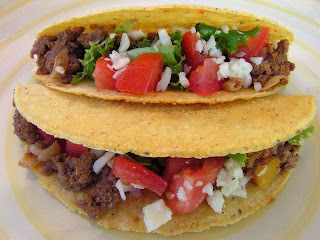 Assemble tacos and finish with your favorite toppings (the Chef likes lettuce, tomato, cheese and avocado). 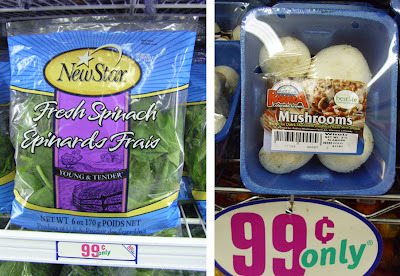 Six ounce spinach packs and and five ounce containers of mushrooms are frequent purchases of The 99 Cent Chef. A delicious combination. 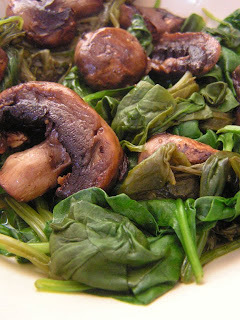 Sauteed mushrooms go with anything, especially spinach steamed in 99.99 cent white wine. This vegetarian side is quick and easy to assemble. For an extra decadent flavor (vegetarians, stop reading) sautee mushrooms with a couple of slices of bacon and crumble bacon over the finished dish. 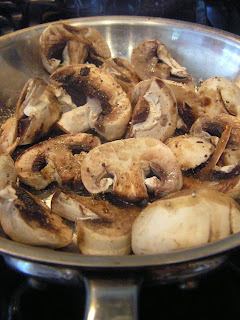 Season and sautee mushrooms in two tbsp. 99.99 cent olive oil blend over medium heat for about five minutes until tender. 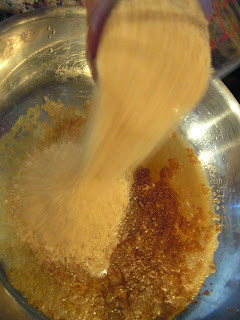 In a separate pot, add 2 tbsp. 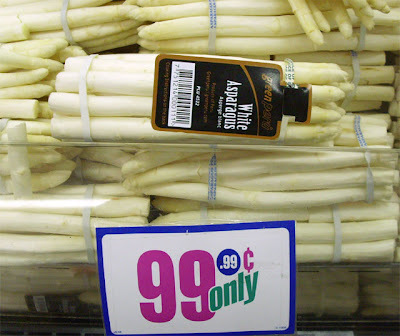 99 cent white wine to 6 oz. 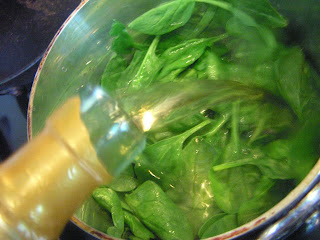 spinach leaves, cover and steam for five minutes over medium/low heat. When both are done, drain excess liquid from spinach, combine mushrooms and serve. 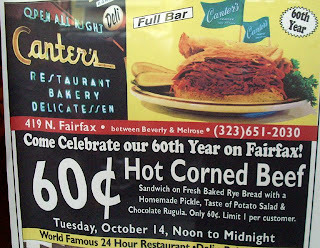 Lately, two L.A. eatery landmarks had anniversaries: Philippe's downtown diner served 10 cent French dip sandwiches for its 100th year last Monday, and yesterday, Canter's Delicatessen sold corned beef on rye for 60 cents, celebrating 60 years in the same location. The Chef missed Philippe's 10 cent French dip but would not be denied 60 cent corned beef on rye. Today the Chef has a delightful deli sandwich hangover. Along with the sandwich was served a small serving of potato salad, pickle and a cookie. 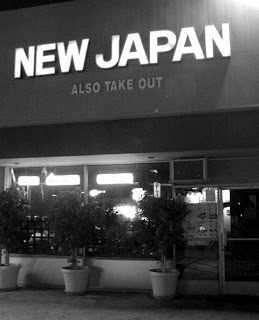 After calling his Film Noir, Screwball Comedy, Grindhouse, movie-going buddy, Drew, the Chef headed to the Jewish Fairfax District to rendezvous. Most surprising was snagging a parking spot at Canter's; also, the "to go" line was short, and there were some empty dining room tables - at least at three in the afternoon. The Chef brought along his camera to record this momentous culinary budget happening. Once we were seated, our cheerful punctual waiter greeted us knowing what we were there for (he suggested the anniversary special). The corned beef arrived before we could get more than a swallow of Heineken (on the way to our table, the Chef noticed a dozen sandwiches prepared in advance at the serving station). The exceptional potato salad amounted to only two bites; the pickle spear was palate cleansing; the corned beef was lean and satisfying, the rye pungent with a hard crust, and the small chocolate rugula cookie a pleasurable denouement. Perfection. The only problem was a limit of one sandwich per customer - will this stop the Chef? Watch the video to find out! Play it here. 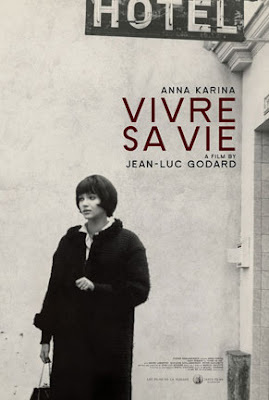 The video runs 1 minute 45 seconds. 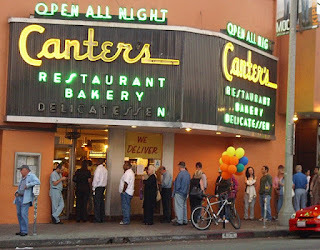 Happy 60th Anniversary, Canter's Deli ! The Chef pulls recipes from many sources, a tasty Pollo en Mente (mint roast chicken) from Los Feliz's Mexico City Restaurant; Pear Crumble from the Food Networks website; and many recipes ideas from the Los Angeles Times daily newspaper's Wednesday Food Section. The Chef looks forward to his weekly foodie fix from The Times. The writing clearly describe recipes and cooking techniques, very helpful to The Chef, and S. Irene Virbila's restaurant reviews showcase local real world cooking trends. It can be a real puzzle converting a recipe that uses top notch ingredients into a palatable 99 cent entree. The 99 Cent Chef does his best; some recipes translate better than others. 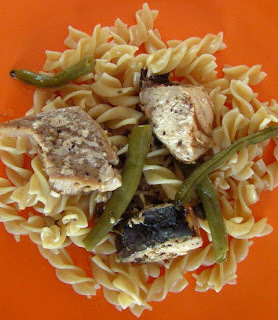 One recent Food Section recipe stands out: Conserved Tuna or Homemade Canned Fish Steaks in Oil by Times staff writer, Russ Parsons. Why? Because the 99c only Stores often carry frozen 4 oz. 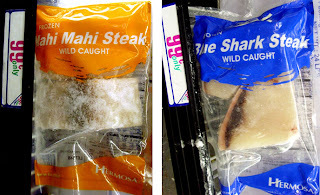 fish fillet steaks of salmon, perch, tilapia, pollock, mahi mahi, and shark. 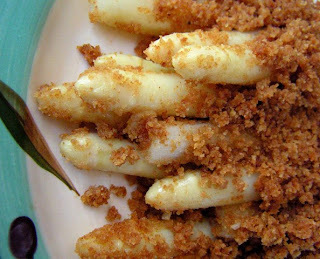 Slow cooked in a warm garlic/dried herb/olive oil bath, these fillets in oil meld, crumbled into your favorite cooked pasta, and the oil is a flavorful sauce. The Chef likes canned tuna, but fish slow cooked in flavored oil is less crumbly, with bigger flakes, and the flavors are more varied and intense. Any firm fish works well; the trick, as always with fish, is to not overcook it. Albertsons grocery has been selling a medley of 4 oz. frozen fish fillet packages for a dollar each. 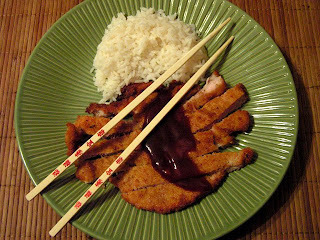 Grab a couple fillets and try out this newspaper-inspired dish. In a small pot add enough defrosted fish fillets to cover the bottom. Fill with enough olive oil to just cover; add garlic and dried herbs. Cook at lowest temperature until fish color changes to tan (or light pink for salmon), about 10 minutes (for less oil: fill pot half way to top of fish, and after 5 minutes turn fish over). Turn off heat and allow to cool for a few minutes; the fish will finish cooking. You can store in the refrigerator for a week to 10 days. The fillets in oil will top your favorite pasta for the rest of the week. An extra trick is to reheat fish by sauteing with a seasonal farmer's market vegetable, like asparagus or string beans, in the "fish oil" and mix with pasta.